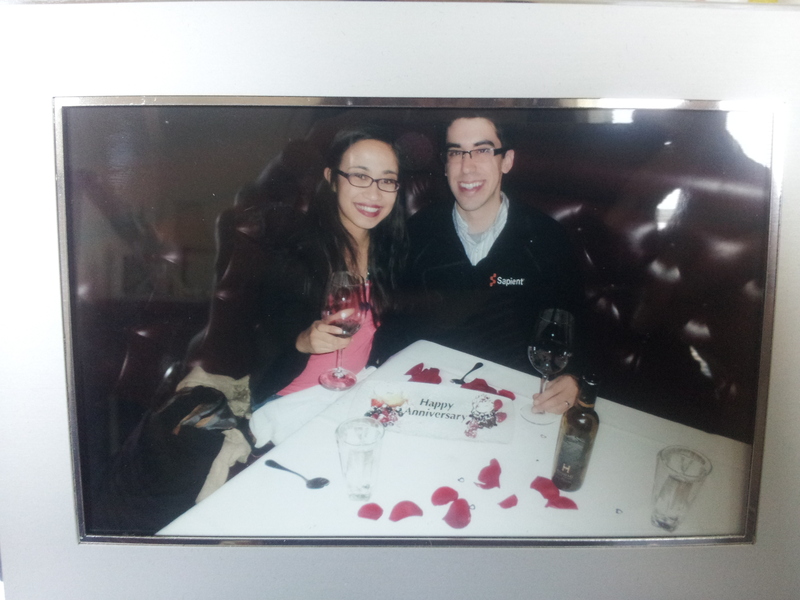 Our 9 Month wedding anniversary was last month. Now that I’m getting to writing this morning, it is now approaching our 10-month. We try to do something small (or else, if we happen to do something nice together “around” the time of our month-month anniversary, we attribute it to our anniversary. “Oh yeah! This is….for our anniversary?!? Yes. That sounds good.”) for our anniversary. We waited in front of the gusty doors in a waiting area that gave me the impression of being a man’s smoking lounge or library. Hunting dogs, lots of leather, dark wood… I had asked B to look up the history of this place – who owned it, menu, how old it was. 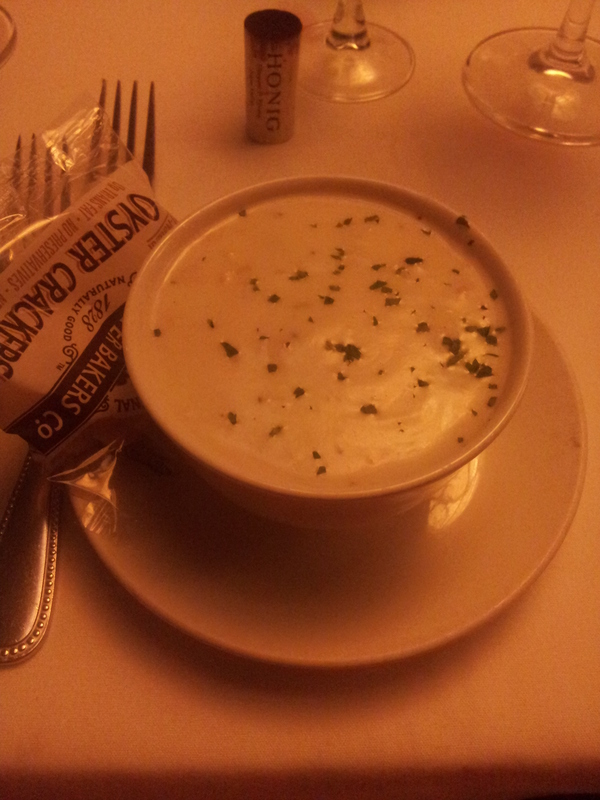 As it turns out, the first Capital Grille was founded in Providence, Rhode Island, where B is from. Getting hungrier by the moment, we had thoroughly reviewed the menu, made our steak selections (it’s a meat and potatoes kind of place) and prepared to order right when we got seated. When we were shown to our table, I was in for a bunch of shocks and aftershocks. Let me enumerate them for you. 2. 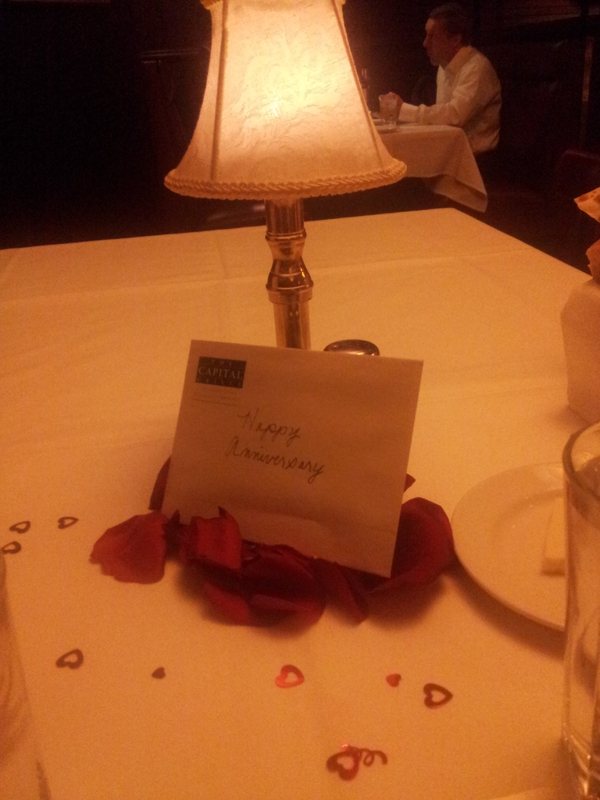 Our table was strewn with fresh, red rose petals. And confetti. 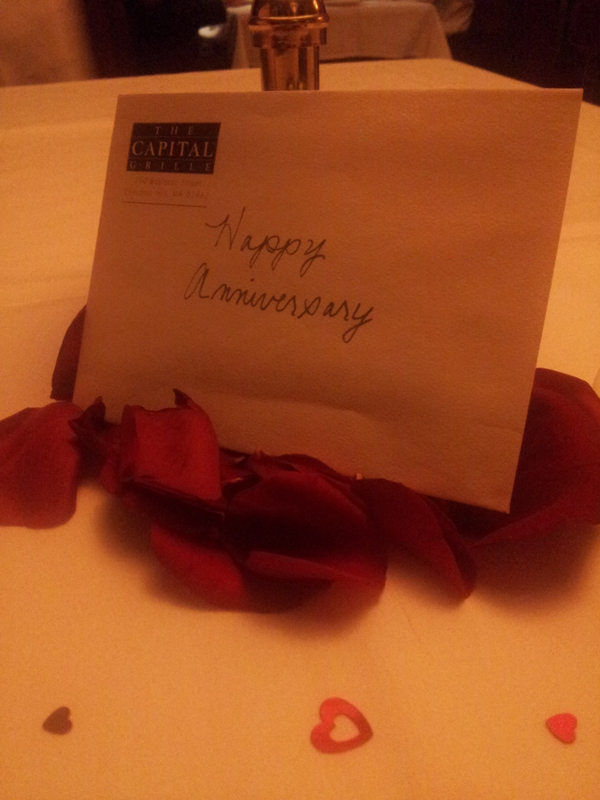 3. the Capital Grille wrote us a signed Happy Anniversary card with a gift certificate inside. That was just to start. 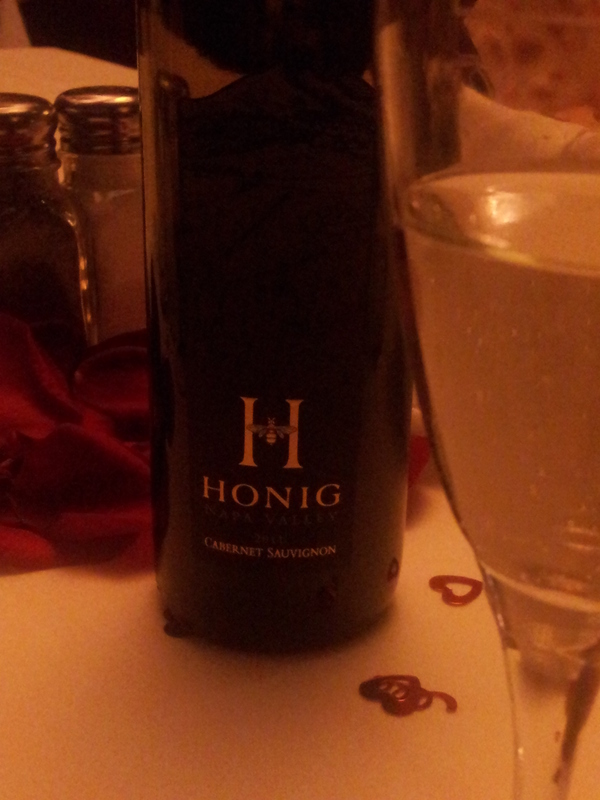 When our server came, he congratulated us, just as I had predicted, and offered us a champagne toast, on the house, in commemorative champagne flutes with the year on it, which we could take home after the meal. 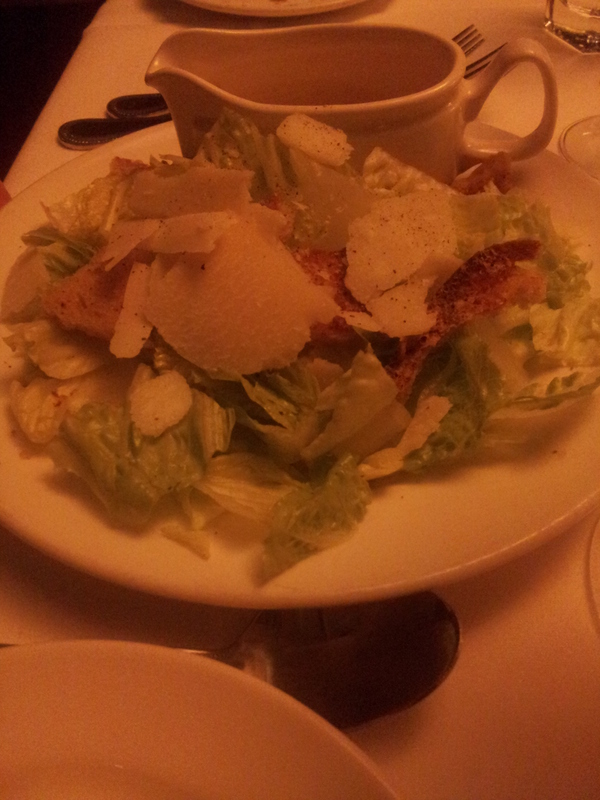 Then, our meal progressed with some degree of normalcy. I was so embarrassed for the unexpected attention, and I suppose, pleased too with how royally we were being treated (for having absolutely NO PLAN of celebrating ourselves at all and just enjoying a nice, cheaper steak dinner for Restaurant Week at a nice place), although it took a long time for the embarrassment to fall away (and lots of anxious glances around to verify that indeed, everyone else around us was happily chewing and conversing away with their friends, business partners, and families and not in fact gawking at us in the corner. A few people did come by on their way out to congratulate us, seeing the rose petals tucked under the bread basket and plates. 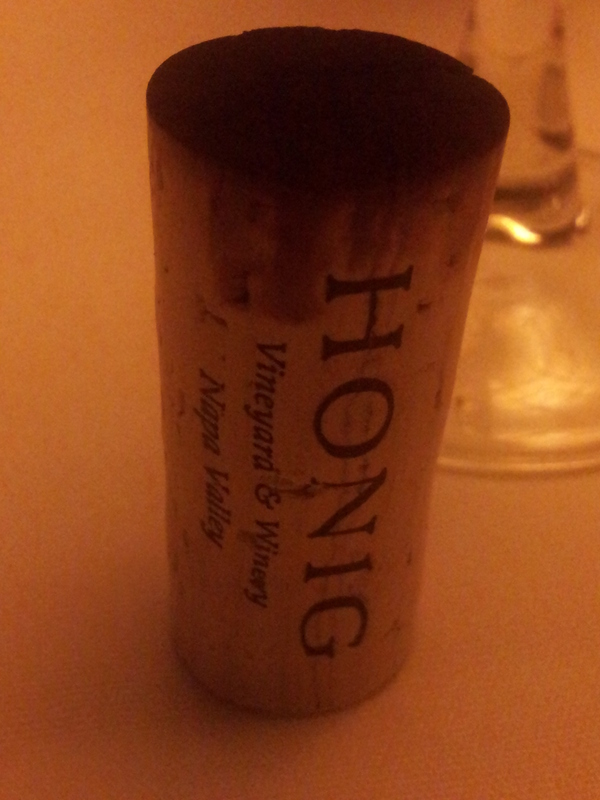 Le VIN – excellent red choice – we recommend it! 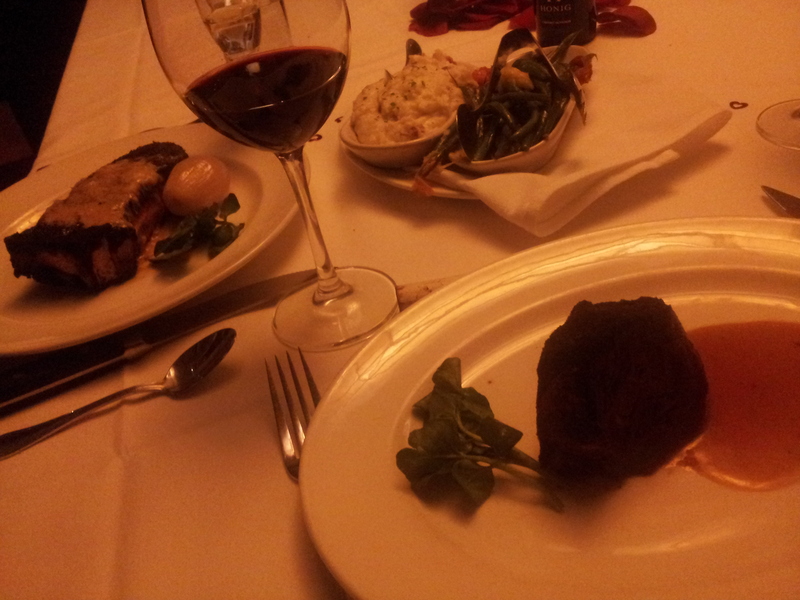 The service was great, food (especially the mashed potatoes…) was very nice, and we had a great time! 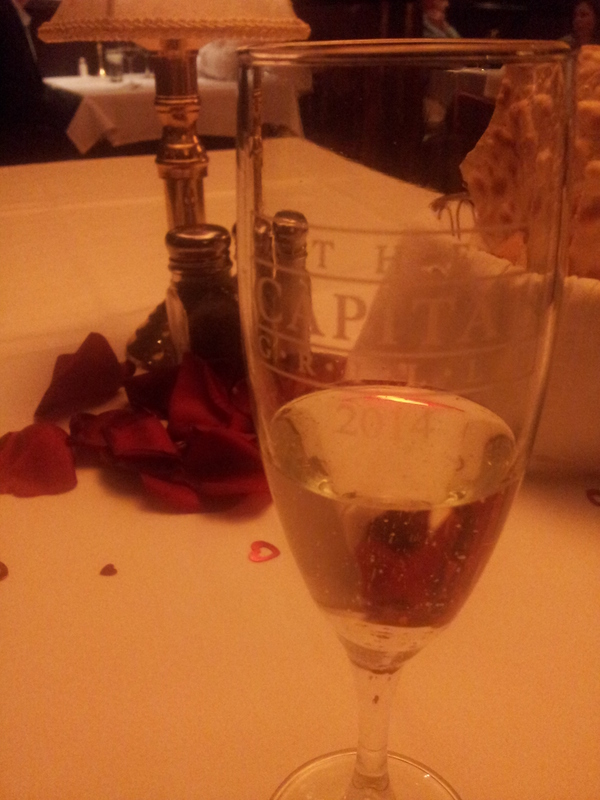 Thanks so much, Capital Grille! We felt so special and enjoyed our time. We’ll be back for our calamari :). 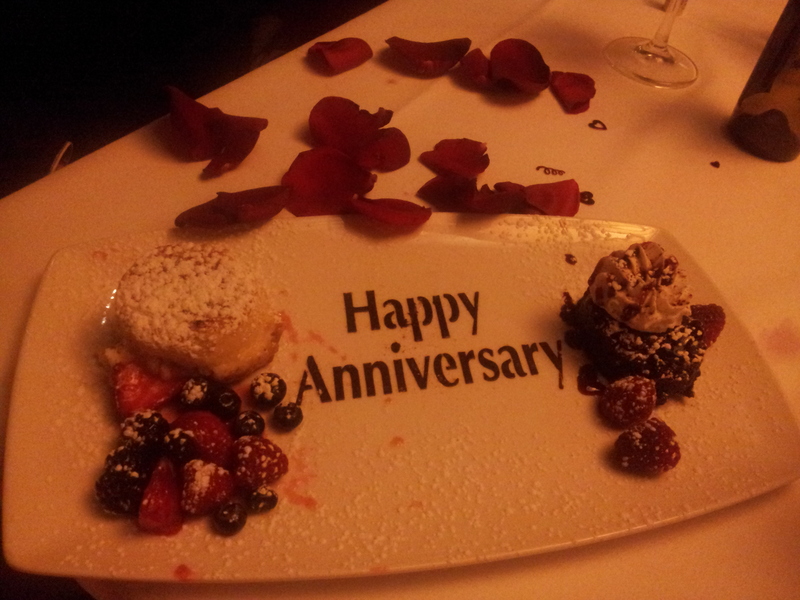 Tags: anniversary, Capital Grille, capital grille review, celebrations, restaurant review, restaurant week boston, review, wedding anniversary. Bookmark the permalink.